Mumbai: Creative Eye Limited prestigious serial “ ISHQ SUBHAN ALLAH” produced by Dheeraj Kumar, ZubyKochhar, Sunil Gupta being shown on “ZEE TV”, Monday to Friday at 10 PM bagged Gold Award as “Path Breaking” serial of 2018 at a glittering function in Mumbai. Gold recognized the true potential of the serial and its unusual subject widely discussed in the society in India and Abroad of triple talaaq. 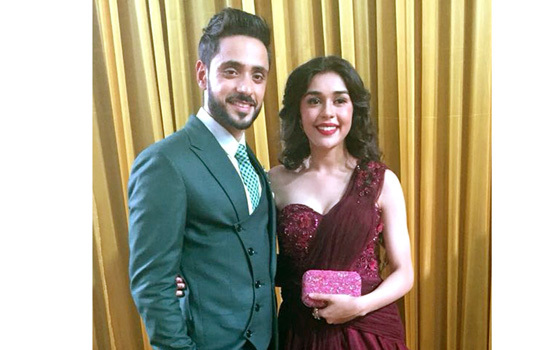 The award was received by Dheeraj Kumar along with the Starcast of the Serial- Eisha Singh (Zara), Adnan Khan(Kabeer), ShipsyRana(Ruksar), AnjitaPoonia(Alina), AshutoshSemwal(Imran) and Child Artist Mohammed Toshi (Aman). Producer Dheeraj Kumar a vetran in the media Industry thanked “ZEE TV” for providing an opportunity to create “ISHQ SUBHAN ALLAH”. Which is maintaining its position in rating charts in the top 3 serials across all channels he further thanked his entire team Writer-Danish Javid, Ideation Head- SandhyaRiaz, Creative Director-AshishBatra, Project Head-AjjuShaikh, Editor-Dharmesh and the viewers in India and Abroad for appreciating truly a path breaking serial.